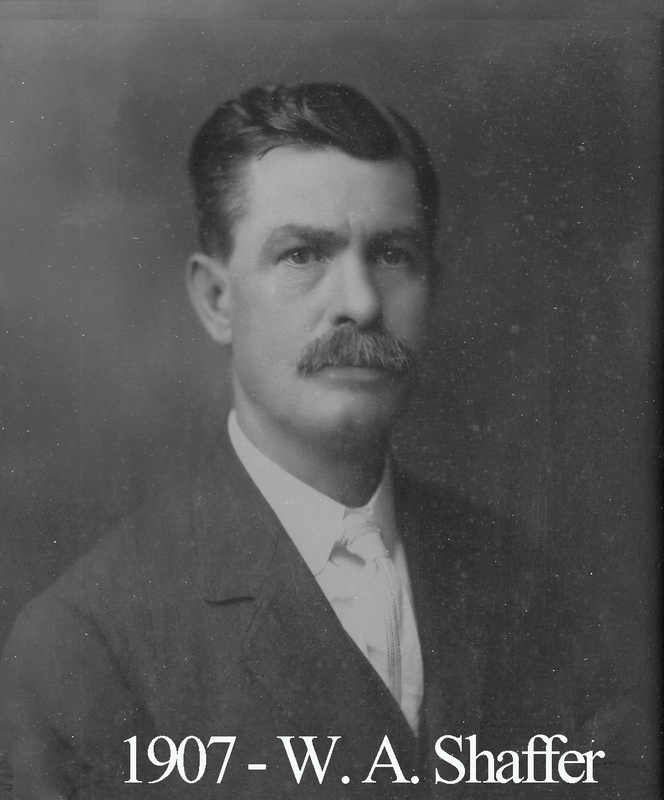 Brother William A. Schaffer was a native Wacoan born June 28, 1870 to Luther and Mary Schaffer when Waco was only barely a city. His father was one of Waco’s first police officers and among the group of policemen who attempted but failed to arrest outlaw “Wild George” Thomason who was fleeing after shooting the City Marshal in the back of the head while the Marshal was getting a shave in the barber shop. Professionally, William Schaffer was a merchant tailor and enjoyed tremendous success as such. In 1921, he was greatly celebrated because he invented a tire rubber manufacturing machine that revolutionized the tire-making process for central Texas. An exhibit demonstrating the efficacy of this loom was heavily attended at the Cotton Palace. Civically, he was very involved and actively participated in the Chamber of Commerce, the Rotary Club, and the YMCA. As a mason, he was known to spend lots of time teaching new members the memory work. During his year in the East at 92, the Lodge covered 25% of the costs for a “Magic Lantern.” Magic Lanterns were slide projectors and they had become extremely popular in masonry for use in lectures. 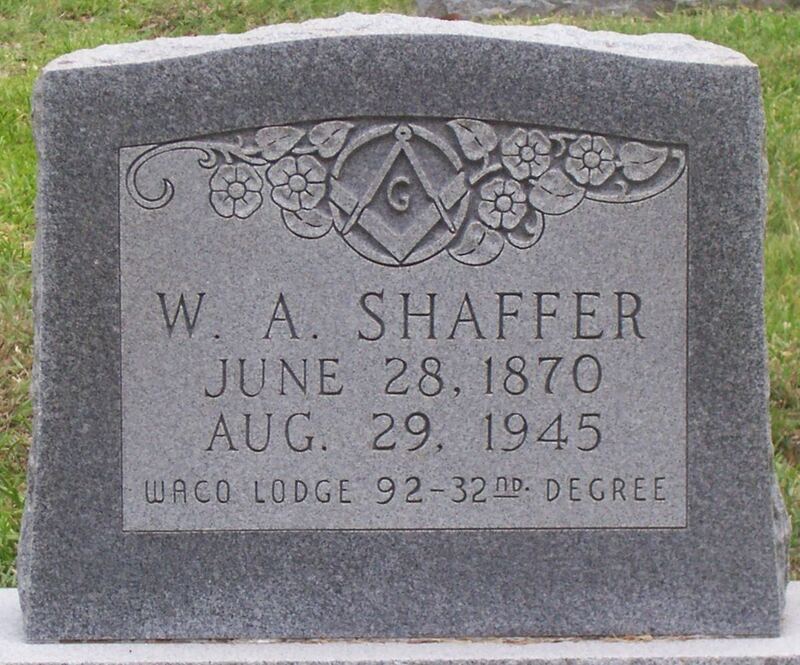 Like man 92 men, Schaffer’s gravestone can be seen in historic Oakwood Cemetery but his is unique for the fact that it has Waco 92’s name on it. What a kind and permanent tribute in death from a man who gave the lodge so much in life.